The Late Show with Stephen Colbert launched last week and the first shows demonstrate great promise but some weaknesses as well. As a big Colbert fan, I must admit that I’m rather biased in favor of rooting for his success. Thankfully, there is plenty to root for. – I’m glad to see Colbert has embraced the strength of having a little bit more time to do in-depth interviews with engaging people concerning important topics. His interviews with Vice President Joe Biden and Supreme Court Justice Stephen Breyer show that Colbert is clearly trying to position his show as a more intellectual alternative to other late night fare. – It’s good to see that Colbert hasn’t backed away from his ability to lampoon politicians. Just because it’s a new show doesn’t mean he has to give up on a format he does really well. It appears Colbert might also be trying to lure a few Daily Show viewers who miss John Stewart. – Energy, energy, energy has always been the strength of the Stephen Colbert magic. It’s good to see that same energy is translating well to the new format. He might be a little more sincere, but he still has an over the top charisma that keeps the show engaging. – Replace the awkward silly dancing at the beginning of the show. 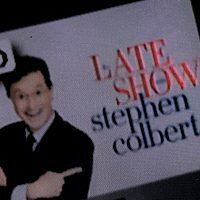 When Colbert dances it seems like a strange homage to Ellen Degeneres and John Cleese. When he dances alongside his band leader Jon Batiste, who seems to be playing some sort of child’s kazoo piano, it just feels like we are looking in on a late night dance party at a high school drama camp. I don’t know what else to say, but it feels awkward. – Colbert needs a sidekick. Colbert certainly has the talent to put on a one man show, but for longevity’s sake and comedy depth, he needs a sidekick. It seems for a late night host to truly be great, we must connect with him as a real person. Whether or not we actually see their real persona, we must believe that we, in some part, know the real guy. 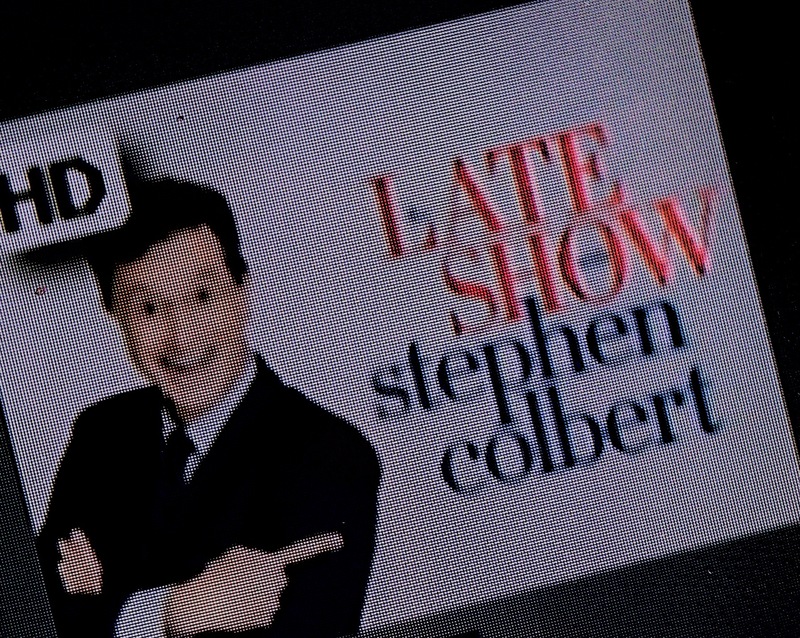 Since Colbert has become a star through pretending to be someone else, he is going to have a little bit of a harder time connecting with America as a “real person.” For those who love Colbert, they are pretty certain they know who the real guy is. It’s what made his conservative lampooning so alluring. You felt like you were connecting with Colbert by being in on the joke with him. Although Colbert is trying to be more of an authentic person, part of his persona is absurdity and exaggeration. For absurdity and exaggeration to work best, you need a good straight man to play off the madness. For example, when Stephen Colbert and John Stewart interact together, Jon Stewart often played the more straight role to Colbert’s more grandiose exaggerated persona. Colbert needs a more subdued and less punchline needy version of Jon Stewart to be his sidekick. He needs someone to challenge Colbert’s absurdity and to challenge his quick comedic wit. On a practical note, it also just helps Colbert’s comedy language to pace well during the show. All Colbert punchlines can lead to a monotony that is easily broken up by the sidekick saying something as simple as “Wow, you’re pretty wise when you wear that hat.” (See Genghis Khan hat bit). – The transition to the lead credits seems to lose energy. I think it’ll make people turn away. Currently, they have Colbert announcing the guests. It’s seems like having someone or anyone else would be better. This segment either has to have lots of energy or lots of weirdness. Right now, it’s audibly boring, although visually interesting. So for what it’s worth, I think these would be great fixes for a show I’ll probably watch regardless of whether any of these changes are made. There is so much that is already right with the Late Show with Stephen Colbert. As a strong comedic performer with strong comedy writers, Colbert has the ability to produce consistently funny and enjoyable entertainment. However, a few strategic fixes to the show would make it much better. I’m excited to see how this show develops as we continue to see the real Stephen Colbert take the world by storm.